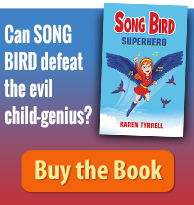 Speed Date me, Karen Tyrrell award winning author, at Romancing the Stars gala event. JOIN the razzle dazzle of Romancing the Stars and MEET me face-to-face. 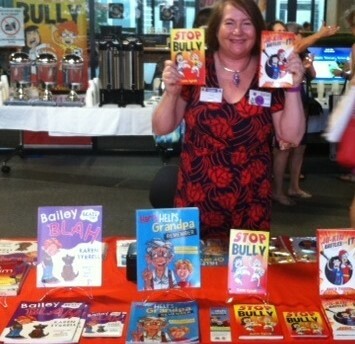 I’m presenting my children’s books, revealing my writing passion. 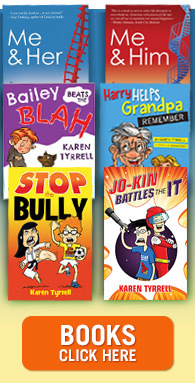 HEAR about my empowering children’s books Bailey Beats the BLAH and Harry Helps Grandpa Remember and STOP the Bully with logos of support from Kids Helpline and Arts Queensland. 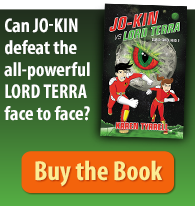 LEARN how kids can embrace their inner superhero with Song Bird Superhero, Jo-Kin vs Lord Terra and Jo-Kin Battles the It. MEET Queensland’s top authors and illustrators at three Romancing the Stars events this year! 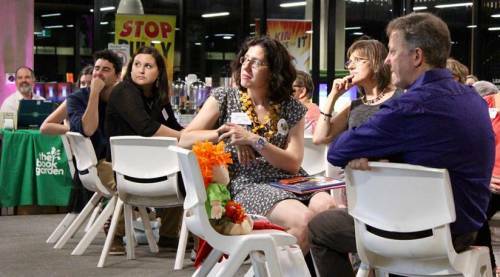 Speed date Australia’s best, and South East Queensland local, children’s and YA authors and illustrators to discover what books they created! DATE: Thursday 23rd February, 2017 …Starts 6.30pm. Discover what books our local authors and illustrators have been creating for children and young adults. Find out how to play Story Sports with Brian Falkner. Speed date 20 local stars and meet others informally. Great food and drinks. View and buy books and illustrations. Raffle and quiz competition. Bookings taken up to one week prior to event via Trybooking. DATE: Friday 17th February, 2017… Starts 6.30pm. Discover what books our local authors and illustrators have been creating for children and young adults . Find out how to play Story Sports with Brian Falkner. Speed date 20 local stars and meet others informally. Great food and drinks. View and buy books and illustrations. Raffle and quiz competition. DATE: Friday 24th February, 2017… Starts: 6.30pm. Discover what books our local authors and illustrators have been creating for children and young adults. Find out how to play Story Sports with Brian Falkner. SPEED DATE 20 local stars. Great food and drinks. View and buy books and illustrations. Raffle and quiz competition. WHO can you see at Romancing the STARS 2015? I’d love to speed date you at Romancing the Stars, Sunshine Coast.